We survived the somewhat scary flight to Lukla 2,850m. 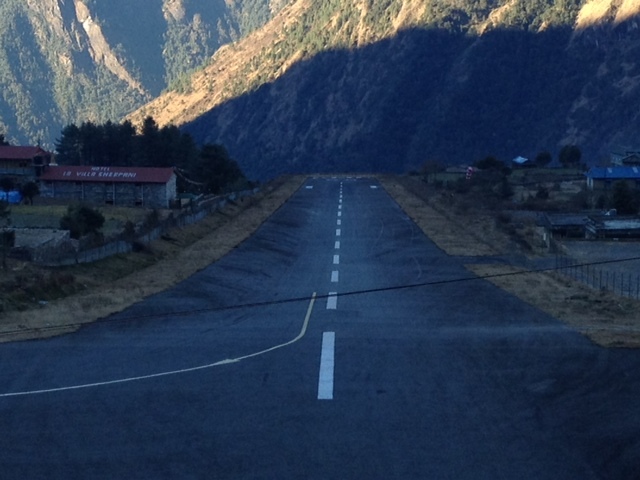 Pic of airstrip attached… Not sure if landing or taking off is worse! Now starting our 10 day trek to Everest Base Camp (EBC) – our new home for at least 6 weeks! This entry was posted in Blog on April 3, 2013 by tstromstedt.